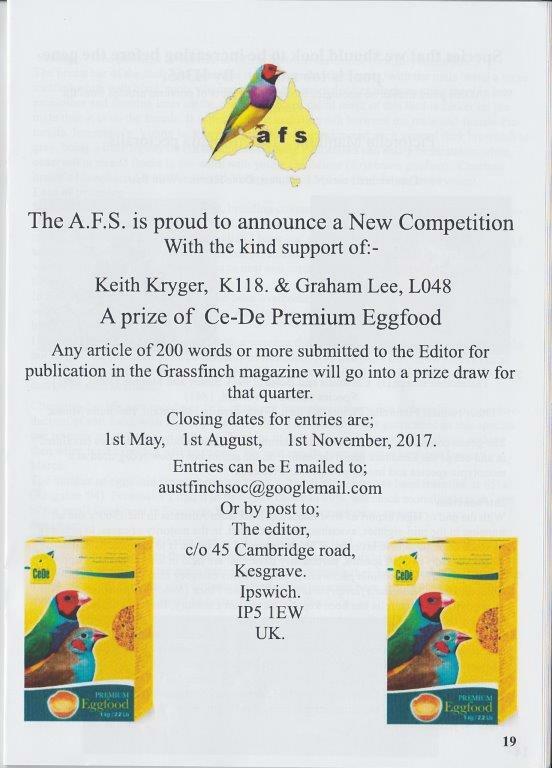 The Australian Finch Society would like to thank the Committee and members for their support at our Members Information Day which was held on Sunday 14th May 2017 at Cheswick Green Village Hall Solihull, with our Guest speakers from Holland. Our first speaker Rik Meerema is an Author and bird breeder gave an illustrated talk on the genetics of birds and their various mutations. This was a very in depth subject explaining why and how colour mutations take place a highly interesting and informative talk. Our second speaker Pieter van den Hooven a bird breeder and bird photographer also gave an illustrated talk on his various methods of bird photography his method of still photos inside cages, and also showing how those taken outside due to the light can differ at various times of the day, also his dedication and patience of bird photography in flight, thus making the difference of an ordinary photo to a work of art. With 60 people in attendance a friendly atmosphere two quality speakers from Holland who spoke excellent English. 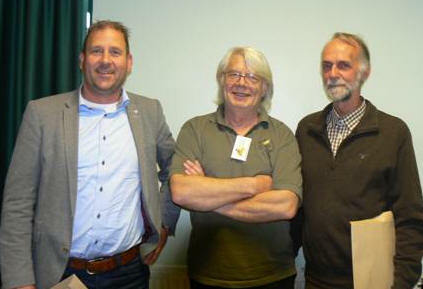 After the talks Rik and Peter were presented with 2 years Honorary Membership to the AFS by the Chairman Dave Harris.